Your vehicle is your primary mode of transportation, the way in which you get through life from one day to the next. If you are going to be a dependable employee or a responsible parent, then you have to have a car that you can rely on to get you to work every morning and to the school pick-up line every afternoon. Our vehicles serve as a vital way for us to accomplish our necessary tasks, and we cannot afford to lose this convenience that we rely on day in and day out. Service requirements vary from vehicle to vehicle and can also vary based on vehicle mileage and age. Every vehicle owner must pay close attention to the various needs and services that must be met on a continual basis. For instance, the gas tank must avoid becoming empty. The oil must continually be checked and changed. Tires rotated. Wiper blades replaced. There are many tasks that can easily be independently maintained by a typical vehicle owner, but there are many other issues going on under the hood that are best left to an automotive professional. Changing the oil is much easier than changing the engine, and this is something that you want to avoid having to deal with at all costs. By taking proper care of your vehicle and scheduling tune-ups on a steady basis, you are ensuring a much longer life for your engine. You can typically find a vehicle manufacturer-recommended schedule for tune-ups and other maintenance in your vehicle owner’s manual, or one of our auto service professionals can supply you with a printout upon request. There are a lot of details to be understood about what parts and processes work together when it comes to starting up and operating the engine of your vehicle. The science of automotives is one to be learned from years of experience, and, at Anything Automotive Performance, we are proud to have mastered that science. Our wealth of knowledge when it comes to engine tune-up and repair is made clear when you speak to our former customers from all over the DFW area who have trusted us repeatedly to service their vehicles. 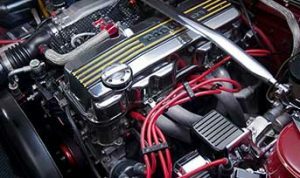 We strive to do the job right and at a fair price, and we are proud to provide engine tune-ups on vehicles of all types. Give us a call today to learn more about all of our automotive services!